So, wait, why did CMG give this record a 57%? J Dilla’s posthumous release schedule has done, so far, exactly what posthumous releases are supposed to do but don’t: ensure a legacy. The late 2Pac and Jimi Hendrix, for example, were already being repackaged in mutilated forms by release number three, tainting utterly not only the body of work produced while living but also the dignified curio of the unfinished. 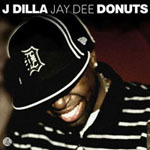 But after the sublime, moving urgency of Donuts (2006) and loud sensuality of The Shining (2006), Dilla’s a more popularly revered name in 2007 than ever before. One need only whiff the alternative—Notorious B.I.G.‘s reprehensible, formaldehyde-steeped Duets (2006) disc, for example—to appreciate how carefully and reverently Stones Throw has profited since James Yancey’s death. 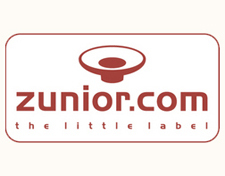 Profiting, after all, is what labels do. In all the right ways, and with all the right people on board, Dilla’s late releases have done honor correctly. Ruff Draft, a respectful repackaging of a tossed-off 2003 vinyl-only EP, is probably the best of the three, chronicling the moment Jay Dee stepped out from the shadow of his ’90s work with a denser, darker sound. (So, why did CMG give it a 57%?) The sly, tactile drums of Slum Village remain, but a sneer settles into the samples here. Check the vague foreboding spiraling through the synth lines of “Reckless Driving,” drums as the unaffected terra firma beneath an expanse of fogswirling strings. 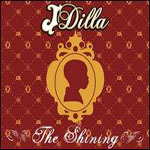 “Wild,” meanwhile, might be my blanket favorite thing Dilla’s ever done, a quirky RZA shamble driving the track insane, the raps going nowhere but teetering brilliantly atop the silly shitstorm of a beat. Guitars loop over themselves alongside some shroomed-out Quasimoto mind-expanding vocals on “Nothing Like This,” and that title proves apropos. 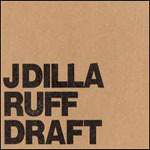 Ruff Draft documents Dilla’s attempts to stretch his music’s boundaries, and at times the record seems only superficially within the confines of its genre. 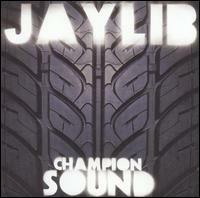 Still, despite a newly warped ferocity, this is vivid hip-hop alive to the possibilities of the form. Dilla remembers distinctly that era when smart rap represented an uncompromised mainstream, when Q-Tip was allowed to be as horny and stupid as he wanted while still openly, naturally pushing the genre forward. Ruff Draft exudes that rare spirit, and Stones Throw is right to continue canonizing efforts like this with the critical care of a Blue Note reissue. So, why did CMG give it a 57%? Kevin Yuen’s gripes seem largely sociological, which I guess I’d be okay with if he just “didn’t like” Jay Dee, but that seems unlikely, because I know Yuen to be a conscientious rap fan. Kevin and I agree on a few choice points, but disagree on their applications. Stones Throw = the Criterion Collection of hip-hop, sure, but I don’t get how this reissue feels like “a party where they only showed DVD extras.” The music’s still here; it feels more to me like a party where they played a movie, with some extras to be screened at a later hour for the stoned sophisticates. So do we disagree on the quality of the music? I don’t really know. That 57% just sits there, implacable. Kevin’s review harps on N*Sync and Ruff Draft’s brevity. It feels dismissive. I don’t know. Hey, Kevin—can CMG’s readership withstand its first Countercounterpoint?